We are closing in on our launch of the Groove Vest! Our patented vest that is bringing music to watersports. A lot of people don't know what Kickstarter is and might have some questions about why we are launching on their platform. 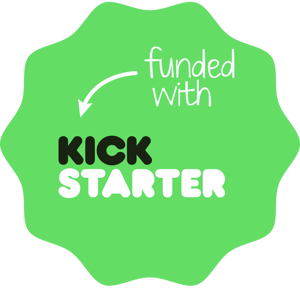 We are here to educate you and tell you about why Kickstarter will be great for you! Everything on Kickstarter must be a project with a clear goal, like making an album, a book, or the Groove Vest. A project will be completed, and backers/supporters will receive the product. Kickstarter projects have raised more than $4 billion in successful projects. Backers only have to pay if a project is successfully funded. Kickstarter does due diligence by proactively screening for potential problems, by investigating issues brought up by the community. They provide a safe and trusted platform where people are honest and open with one another as they collaborate to bring creative projects to life. The main benefit customers get by buying an item on Kickstarter is they get a significant discount. Backers are the first people backing their dollars to businesses and products that they want to see come to life. The first backers will receive the most significant discount at close to 50% off. There will be a limited number of vests at this discount and the remainder vests will still be discounted but not as significant. (We need to actually make a little bit of money, after all). This will help Kickstart our launch and a way we can reward all of our fans that have been with us before we go live. We will be offering our vests at the lowest price ever on Kickstarter because we value our customers that are helping us bring the Groove Vest to the market. The main benefit we receive as a business is that the orders on Kickstarter are pre-orders. These funds will be used towards our initial production run. Being a startup, we have a limited amount of funds. We wouldn't be able to afford a production run on our own. Our fans and backers are the ones that will bring the Groove Vest to market. Our thank you to those backers is by giving them a great discount on the vest. If you want to ensure that you get the lowest price on our launch day join our VIP List!